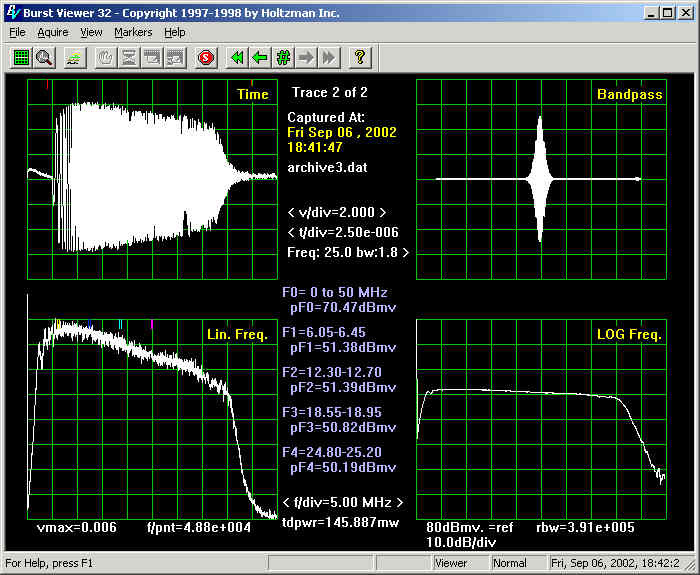 Utilizing a PC, a Low-Cost Digital Oscilloscope, and a Counter to Capture and Analyze Return Noise and Traffic. Trace Displayed is a Stepped-Chirp Reference Signal. Pentium 100MHz or faster, 32 MB ram, Windows XP, 2000 or Windows NT 4.0, Nat. Inst. GPIB card and 2m. cable, Tektronix TDS-1002 digital oscilloscope with communications module.